On May 19, 2018, the world held its breath as Meghan Markle stepped out in a Givenchy gown to Marry Prince Harry at St George’s Chapel at Windsor Castle. The wedding was every bit as fairy tale as we had all hoped, though Meghan threw in her own touches. From the pastor that married the couple to the choir singing “Stand by Me” the wedding veered off from traditional ceremonies in the best way possible. 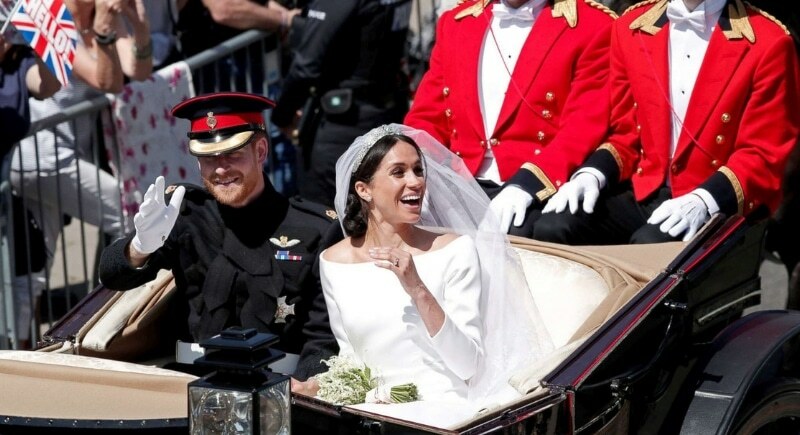 The wedding reportedly cost a cool $45.8 million, though the bulk of the money went to security, ensuring the royals, celebrities, and fans who came to watch remained safe. The bridal look was downright regal and packed with meaning. 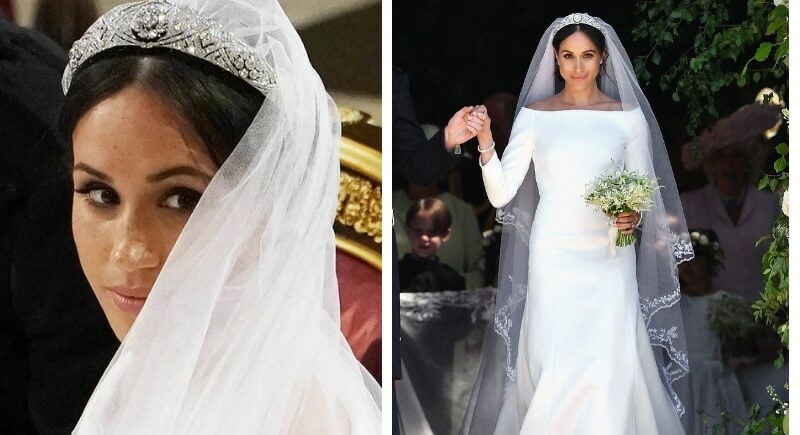 Meghan carried Forget-Me-Nots in her bouquet which was Diana, Princess of Wales’s favorite flower, and her tiara, borrowed from the Queen’s vault, featured diamonds set in platinum. Sewn into the gown, which cost a whopping $508,000, was a piece of blue fabric from the dress Meghan wore on her first date with Harry- aw!